Why pay a dealer for a "Supposed" dealership experience when all you receive is an extra cup of tea or coffee for their £100 plus hourly labour rate? Our servicing department offers a wide range of service options. 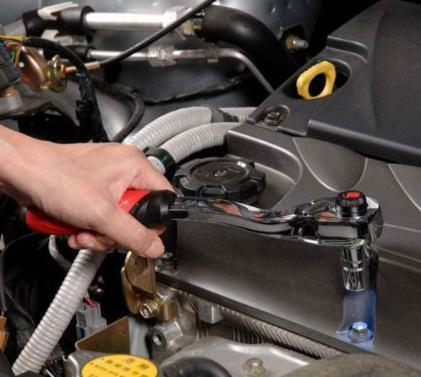 We are able to carry out vehicle service programmes five days a week with an early morning 8am drop off time for car servicing in Wortley Leeds. All of our service and repair parts are ordered from the details obtained from your vehicles number plate and vehicle identification number plate (V.I.N. Plate) These are checked with the DVLA website to enable correct parts ordering and prompt delivery to our premises. This system allows our technicians to plan the days work schedule and means that we can work as efficiently as possible. 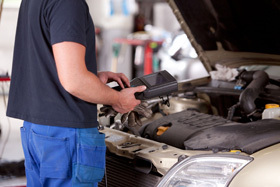 Manufacturers scheduled service details can be printed from our computer software ensuring that your vehicle receives the service it deserves. This is necessary to meet the 2003 Block Exemption Ruling that allows car owners to who services their vehicle even when it's still covered by the manufacturers warranty. This allows an independent garage like ourselves to service your car without voiding the remains of your warranty and also means huge savings over main dealership prices and not just the convenience of using a local garage but supporting a small local business too. For a better insight into "Block Exemption" please take time to read out page and see what the AA has to say about the advantage of not being tied to expensive manufacturers service franchises and the money that can be saved by "opting out".